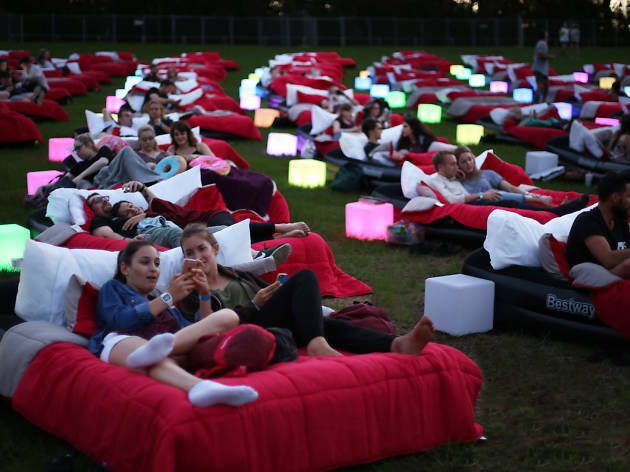 Of all the outdoor cinema options in Sydney, Mov’in Bed is undoubtedly the most horizontal. And also, one of the most fun. Head to the Entertainment Quarter, get a drink from the bar, snuggle up on an inflatable double bed, and maybe get dinner delivered to your bedside… it’s the exactly the kind of spoiling we all deserve as the working year slouches towards its end. 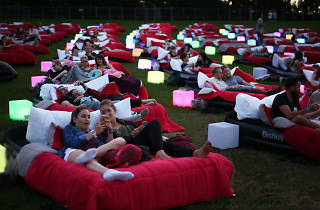 Mov’in Bed Outdoor Cinema kicks off again at the end of November for an 11-week season and to celebrate, Time Out has 20 double-bed passes to give away to the opening night screening of the brilliant A Star Is Born, starring Lady Gaga and Bradley Cooper, on Thursday November 29. This sweet giveaway also includes a big tub of popcorn – the only thing you’ll have to worry about is stray kernels in your pyjamas. To win this prize valued at $73.80 plus popcorn, all you have to do is enter below before Thursday November 22.